“Demand creators,” a special breed who design truly exciting products, recognize the huge gaps between what people buy and what they really want–and use those gaps as a springboard to see differently. Here’s how they do it. We live in a time of two economies. In the first, mired in recession since 2008, millions are unemployed and underemployed, companies are reluctant to invest, and factories have fallen silent. Consumer demand is stagnant. In the second, in the same time and space, demand is gushing. A handful of companies are doing exponentially better than their competitors. They enjoy runaway growth, premium pricing, and extraordinary customer loyalty. Here, companies are growing, profits are robust, and customers are loyal. What’s going on? Some portion of weak demand is a function of shrinking consumer pocketbooks. But structural issues don’t explain why consumers disproportionately demand one product over a seemingly comparable one–think Kindle vs. Sony Reader, or Zipcar vs. Hertz Connect–by margins of five or 10 to one. These differences are not accidental. “Demand creators,” a special breed who design truly exciting products, recognize the huge gaps between what people buy and what they really want–and use those gaps as a springboard to see differently. Demand creators understand that very good isn’t good enough. Most products fail to create an emotional connection with customers. Products must be magnetic, because when it comes to creating demand, it’s not the first mover that wins; it’s the first to create and capture the emotional space (ergonomics, aesthetics, message, feel, story) in the market. Think of Zipcar, the rental car a five-minute walk from your urban apartment with free gas and insurance, and a rate of $8 an hour. In a recent survey, 88% of Zipsters said they had recommended Zipcar to a friend in the last month, and 80% said they “loved” Zipcar. 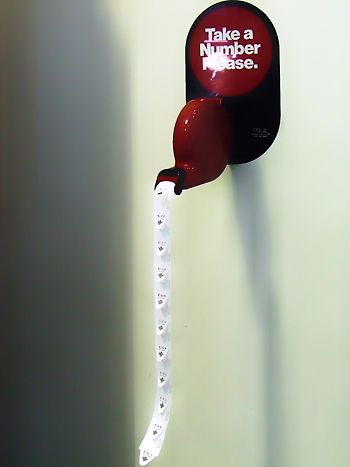 “Loving” the product: that’s magnetic. Think about the products you use, and think about how many of them annoy you–or that you even hate. Most of the products we buy are flawed, generating hassles that include time- or money-wasters–unclear instructions, needless risks, and other annoying bugs. The best demand creators map the hassles that dominate so much of daily life, and then figure out how to connect the dots to fix them. That process leads to explosive demand. To draw the hassle map for phone users in India, for example, Nokia sends anthropologists to study usage patterns, and uses those findings to design phones. The Nokia 1100 offers multiple contact lists, an essential feature in a phone that might be shared; it allows a user to enter a price limit for a call, to make minutes last longer; and the 1100 screen display offers visual symbols for illiterate customers. For countries where electricity is unreliable or totally lacking, the phone includes a flashlight, radio, and alarm clock. In the last five years, Nokia has sold 250 million phones in the developing world, more units than iPod and Wii combined! It’s often the unseen backstory elements that make or break a product. Demand creators obsess about infrastructure (can I get it to the customer cheaply and efficiently? ), ecosystem and alliances (can I engage others so I don’t reinvent the wheel? ), and business design (how do I structure my organization to serve and learn from customers?). Then they connect all the dots needed to fix the hassle map of the customer. Think of Netflix, which spent a year figuring out how to work with the U.S. Post Office, went through 150 iterations of its mailing envelope to shave three seconds off the opening time, and opened 56 distribution centers across the U.S. and Canada–all to get DVDs into consumers’ hands as quickly as possible. No wonder Netflix has 20 million subscribers and a market cap of $12 billion. Most people who hear about a product remain fence-sitters, unwilling to try or buy until a trigger moves them to act. Some great products, like Volkwagen’s Phaeton, or tap-and-go credit cards, failed to take off because their creators didn’t figure out how to overcome consumer inertia. Great demand creators constantly search for the right triggers, always experimenting until they get a response. Nespresso, for example, increased uptake six-fold when it opened mini boutiques that offered trial samples of its pod coffees, turning Nespresso into Europe’s leading coffee brand. And Eurostar uncorked demand when it cut the London-Paris travel time from three hours to two hours and 15 minutes, making a one-day there-and-back-home-for-dinner trip a reality. A product’s launch is merely the first step in a series of attacks upon the indifference of the market. On launch day, great demand creators jump into the next phase by asking themselves: How fast can we get better? While rivals might focus on technical improvements, demand creators know that there are at least four dimensions of improvement that matter: Technical (performance, design, capacity), emotional (see “Magnetic,” above), affordability (productivity enhancements, lower price, better value), and content (new add-ons, plug-ins, deeper library). Every improvement they make will unlock new layers of demand, and leave less open space for imitative competitors. Think of Amazon, which not only increases the content available on the Kindle, but makes the device better and more affordable with each new version. In addition, Amazon focuses intently on the emotional dimension, advertising the joy and convenience of reading, anytime, anywhere. “One size fits all” is an idea that great demand creators have discarded–because it doesn’t work. Instead, they “de-average” complex markets, recognizing that the “average customer” is a myth, and that different customers (and even the same customers at different times) have widely varying hassle maps. The magic is not just in segmenting by hassle map, but in providing highly efficient, cost-effective ways to create product variations that more perfectly match the varying needs of customers. Think about Zipcar, which uncovered different hassle maps for urbanites, students, city fleet managers–as well as for small businesses, big businesses, city rail systems, universities and apartment complexes. And Apple offers seven variations of the iPod, ranging in price from $49 to $349. It did a terrible job of variation with the iPhone, however, not segmenting down soon enough, thus leaving market opportunities for multiple Android competitors. There are two economies. You can play in the vibrant one with gushers of demand by identifying and solving consumer. As a bonus, products that generate demand turn out to generate good economic returns for their creators. The very act of designing a simple solution cuts out inefficiencies, driving both top-level and bottom-line results. There’s a huge gap between what customers buy and what customers really want. Sharp-eyed and persistent master demand creators discern that gap and fill it. Demand creation is a discipline with the micro mechanisms described here; like any other discipline, it can be learned and applied by any leader and by any team. Adrian Slywotzky is a partner at the global management consulting firm Oliver Wyman and a best-selling author. 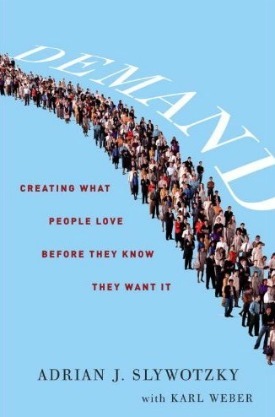 This article is based on material from his new book, Demand: Creating What People Love Before They Know They Want It (Crown Business), to be released on October 4, 2011. Follow the Demand blog at www.demandthebook.com.